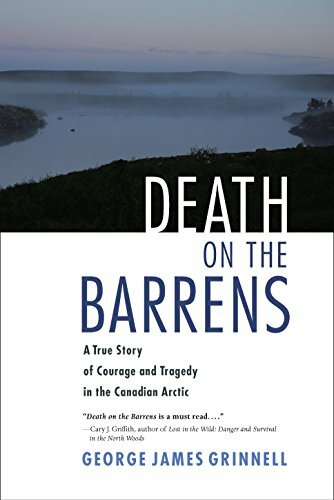 Set in the remote arctic region of Northern Canada, this book takes readers on a harrowing canoe voyage that results in tragedy, redemption, and, ultimately, transformation. George Grinnell was one of six young men who set off on the 1955 expedition led by experienced wilderness canoeist Art Moffatt. Poorly planned and executed, the journey seemed doomed from the start. Ignoring the approaching winter, the men became entranced with the peace and beauty of the arctic in autumn. As winter closed in, they suddenly faced numbing cold and dwindling food. When the crew is swept over a waterfall, Moffatt is killed and most of the gear and emergency food supplies destroyed. Confronting freezing conditions and near starvation, the remaining crew struggled to make it back to civilization. For Grinnell, the three-month expedition was both a rite of passage and a spiritual odyssey. In the Barrens, he lost his sense of identity and what he had been conditioned to think about society and himself. Forever changed by the experience, he unsparingly describes how the expedition influenced his adult life and what powerful insights he was able to glean from this life-altering experience. At the beginning of the trip that I describe in Death on the Barrens, I had said to myself, "If things get rough, at least I will not be the first to die." I had just been discharged from the Army and was in better physical condition than the others, but, by the end of the trip I was thinking very different thoughts: "I hope I will not be the last to die." By the end of the trip, I took pride not in my own strength, for it was laughable compared to the power of the wind that had ripped the tent I was sleeping in to shreds, or the power of the cataracts which had flipped our canoes as if they were toys, or of the cold which had killed Art--by the end of the trip, I took pride only in what I could do for others because I did not want to be the last to die. I was scared of dying alone. Although I was terrified of dying, there were moments when I felt so at peace that I just wanted to remain in the arctic forever. Having my terror transformed by beauty into awe was like receiving, what mystics call, the ecstasy of the grace of God. It is such a wonderful feeling--a mixture of awe, peace, and love--that, if I could, I would share it. Q: Recalling the hardships of the catastrophic canoe voyage of 1955 must be difficult and painful, at times. What made you decide to write Death on the Barrens? A: I was telling the story to some friends at dinner one night, fifty years ago, and one of them, Professor Ed Chalfant said: "Write the book." The next day he gave me his typewriter. I have been typing ever since trying to convey what perhaps cannot be conveyed: the transformation of terror into awe. Q: Something that makes your book so wonderful is that you offer philosophical insight into the Barrens expedition, and reflections on your life since. What do you want readers to take away from reading the book? A: I would like readers to take away the idea that awe transforms vanity into love, and love is the source of the inner peace which we all desire. Q: Through your experiences and through the writing of this book, what have you learned about human nature that isn't common knowledge? A: I’ve learned that it is necessary to empty oneself if one wants to receive the gift of awe, love, and peace, which is the gift of the wilderness to troubled souls.